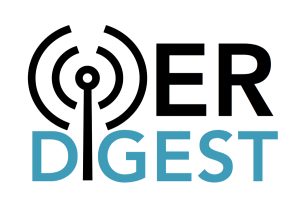 QUICK STATS: This year, the OER Digest team – seven different rotating authors from SPARC, U.S. PIRG, and Creative Commons USA – shared 24 editions, including 118 news updates, 50 stories from the field, and 116 interesting reads/articles. We also tried to count the number of different campuses mentioned in Digests this year, but it was WAY too many. There’s so much awesome work going on! We’re just grateful for your continued readership – and for getting us over 1,000 followers on Twitter. FEDERAL: 2018 was a banner year for open education on the federal level. First and foremost, the FY18 federal budget included a landmark $5 million grant budget for OER adoption and development efforts – the result of nearly a decade of advocacy. The Department of Education chose to administer the funds as one single, large grant, awarded to LibreTexts, who plan to use the funds to expand its STEM open textbook library over the next three years, as well as develop more materials for career and technical education. Advocates won a second major legislative victory this year, with the inclusion of another $5 million for OER in the FY19 budget – this time requiring that the money be used for at least 20 different grants, and offer a longer application window. We will expect to bring you more news on the opportunity to apply for this funding in 2019. Congress also approved legislation reauthorizing the Perkins Career and Technical Education Act, which governs the nation’s career and technical education (CTE) framework. Included in the bill are provisions permitting OER as an allowable use of funds for state and local activities. The Department of Education’s open licensing requirement for competitive grants reached full swing this year, as we started to see the language pop up in new calls for proposals like this one. Finally, the Department’s #GoOpen campaign has continued to grow, reaching 118 districts and 20 states. They also announced a new partnership with ISKME to help manage the effort. In Canada, the national government just announced that all of the content created under their $50 million initiative to support local journalism will be made available under a Creative Commons license. New York invested another $8 million in open education through their SUNY and CUNY systems, a program that had already saved students $12 million and projected students savings of $28 million by the end of 2019. North Dakota’s state auditor found that their investment of $110,000 in OER has saved students at least $1.1 million, ten times the amount spent – and possibly as much as $2.4 million. This was the first independent audit of a state OER initiative. Colorado established a statewide OER Council and appropriated $660,000 for OER grants and activities. Notably, the council is required to include a student and the state librarian! OTHER MAJOR MILESTONES: OpenStax announced that their books are in use at half of all American colleges and universities. Creative Commons’ annual report found that there are now at least 1.4 billion CC-licensed works available worldwide. Open Up Resources won top billing for their Illustrative Mathematics and ELA curriculum from EdReports, earning the highest ratings ever given by the nonprofit reviewer. BCcampus just announced they’ve broken the $10 million savings mark. Also – after their challenge for the community back in 2018, Nicole Allen and David Wiley announced at OpenEd this year that we’ve collectively saved students over $1 billion through OER. Header image by Monoar available under CC0.